National Offer Day on Tuesday 16th April will see hundreds of local schoolchildren receive their Primary School places. This is an exciting time for parents as they wait to find out where their child will be attending from September. However, with growing state school pupil numbers, cuts to teacher’s salaries and school budgets and the worry of not getting their first choice place, this can be an anxious time for many. An independent education could be the answer! At Ghyll Royd, children can grow and learn supported by nurturing and caring staff. We pride ourselves on our small class sizes where children can be taught and listened to individually. Reception remains part of the Early Years curriculum where learning through play is key – no unnecessary pressure to grow up too fast! 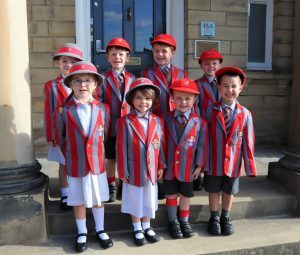 Children here enjoy coming to school each and every day ready to immerse themselves in our varied curriculum. Weekly Music, Art, Spanish and Physical Education lessons are all taught by specialist teaching staff. At the end of a busy day, parents pick up their happy children and have time to talk with their class teacher. Ghyll Royd children read to their teachers every day and a reading record goes home every night. Nutritious, home-cooked meals are prepared daily by our brilliant chef – fueling a full day of adventure and learning. As a result of a Ghyll Royd education, our children are happy, healthy and eager to learn! 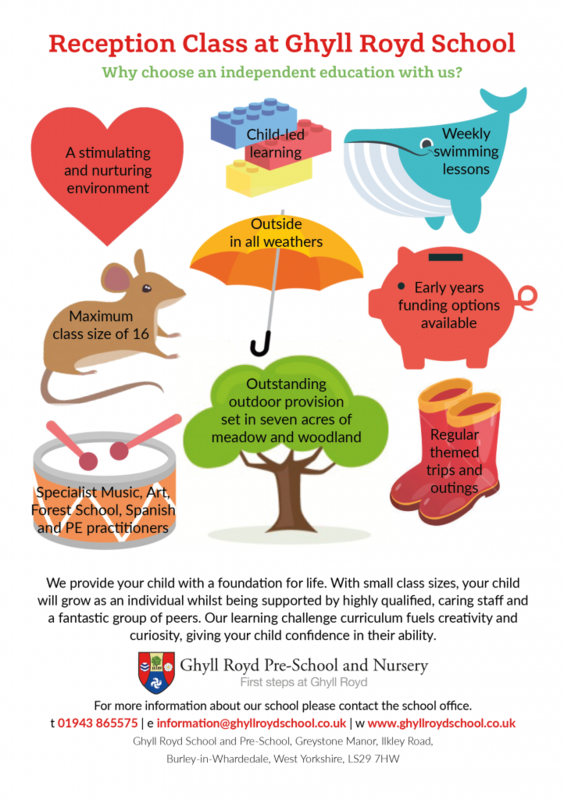 To find out more about our educational offering, call 01943 865575 or email information@ghyllroydschool.co.uk. Come along to our Open Week to see for yourself what a special place Ghyll Royd is! You can book your place by submitting your details to our Contact Us page.